Good things come in threes (such as the Triple Goddesses), and the Ladies of Grace Adieu, comprised of Miss Tobias, Mrs Field, and Miss Parbringer, are no different. They are something of goddesses themselves, but in a more refined, subtle, English-y way. While Mrs Field laments that modern magicians “seem to devote more of their energies to belittling magic than to doing any,” the ladies certainly spend most of their energies, or nocturnal energies, I should say, actually doing magic and keeping it entirely secret. For theirs is a most enigmatic kind of magic, done for the sole purpose of amusing and fulfilling themselves, rather than done for the purpose of some grandiose mission, such as Strange’s (failed) attempt to bring English magic back to England. 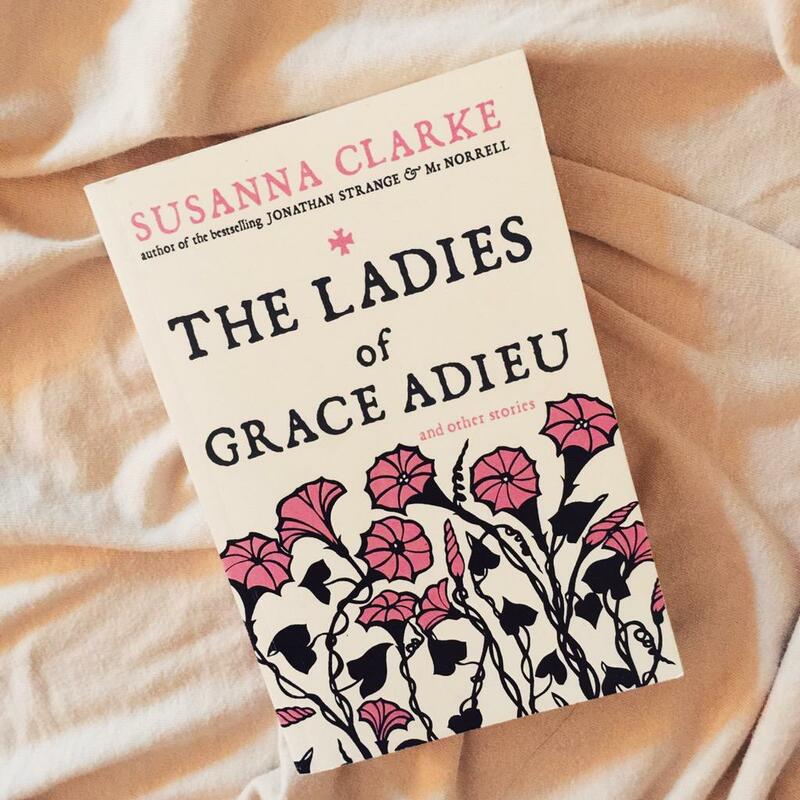 There is an underlying sinister air to the magic of the Ladies of Grace Adieu, much more so than Strange’s or Norrell’s, which makes their magic much more fascinating, at least in my humble opinion. Perhaps it is because we do not get the full story from the Ladies themselves, and of course when Strange tries to get to the bottom of the matter of the little mice shell-corpses, he receives no answers. He is like the great big dog attempting to outwit three keen cats, and it is no surprise that he fails. But besides Strange’s own doubts, the sinisterness of the Ladies’ magic is reinforced by the children of Winter’s Realm. Winter’s Realm is an old, decrepit mansion where the children Miss Flora and Miss Ursula reside. The children are governed by the Ladies of Grace Adieu, who might seem to take more interest in the children’s vast, magical library given to them by their grandfather than the children themselves. The child called Miss Flora is described as a “poor little thing” who possesses a terrible fear of owls, believing them to haunt her. One evening, Miss Cassandra Parbringer attempts to ameliorate this fear by telling a story of the Raven King, though we can infer that the story only momentarily entertains; the fear persists. It is also rather interesting to note that when first describing the children of Winter’s Realm, Clarke says they are “poor as churchmice.” And mice, unfortunately, are the preferred delicacy of owls. Poor little things. I rather enjoyed this short story. It was my favorite out of Clarke’s small collection. I do wish she’d write more, and I do wish that the Ladies of Grace Adieu might have the privilege of being included in a longer work.